In one of the most noble actions ever taken be a technology giant, Facebook Inc (NASDAQ:FB) is ready to feed missing children alerts to its U.S. users. The social network has more than 140 million daily users in the United States making this effort an excellent channel for help. The social networking company has collaborated with the National Center for Missing and Exploited Children to start sending AMBER alerts in user feeds starting immediately. These alerts would include photographs and relevant details of the missing children and Facebook would send out feeds in targeted search areas. U.S. Attorney General Eric Holder said that the use of Facebook for sending alerts would speed up the chances of finding missing kids. Earlier, a recent study has revealed that Facebook Inc (NASDAQ:FB) understands its users better than the friends and family of the users. The researchers at the University of Cambridge and Stanford conducted a study and found that a personality assessment done after considering the likes of a user is more or less accurate. In addition to it, the study revealed that there is strong correlation between some particular traits and likes history of users on Facebook. 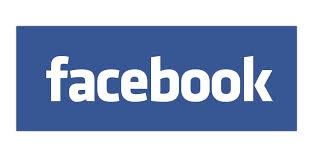 The shares of Facebook Inc (NASDAQ:FB) are trading at $76.45 with current P/E ratio of 72.54. The company has net market cap of $214.11 billion and the average share trading volume stands around 25 million.